We take pride in delivering world-class service to all of our customers. Read what some of our associates, students and parents have said about us! 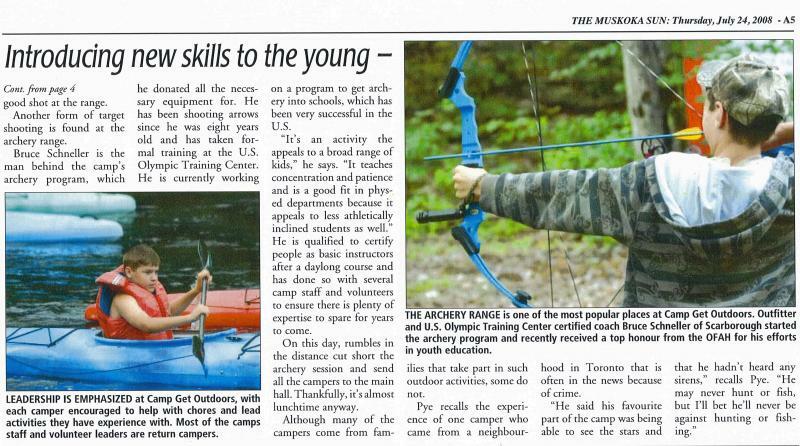 "Bruce's ability to make archery a safe and enjoyable activity makes him a valuable asset to youth education. It is quite clear to me that he is totally dedicated to the education of our youth. His commitment to this program is incredible!" "...the instructors encouraged our intermediate boys to set goals and go the distance to achieve them. Student safety and learning needs were of prime importance and addressed throughout the sessions. I would highly recomend Bruce Schneller and the Schneller Archery team to instruct and work with students. Their expertise enriched student learning and created a unique opportunity to investigate and learn about Olympic archery!" "Since we arrived home, we have received phone calls and e-mails from parents expressing how impressed they were today with the skill and instruction provided by Schneller Archery." "I want to personally thank you for your continued dedication to improving our Get Outdoors Summer Leadership Camp. We appreciate your investment in time and equipment, and your extra efforts do not go unnoticed by your Federation!" "In my experience very few people have come close to Bruce's ability as a teacher and a mentor!" "Bruce's commitment not only to safety, but by properly informing youth to create good habits early is important now more than ever....he always has something new to share with you making it an enlightening experience. He is a very patient instructor, mentor and friend!" "...a quality program that is safe, fun and provides for skills development!" 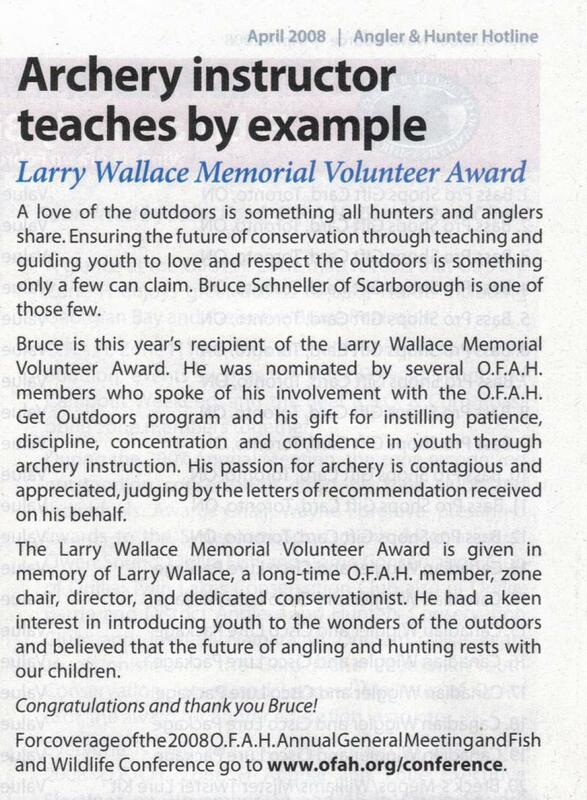 "Bruce has a lot of knowledge to share with the kids and he has a way of engaging them and keeping them happy. My son really enjoys the things that Bruce has to offer!" "Your archery program at our Get Outdoors Summer Leadership Camp has quickly become a crowd favorite and we are looking forward to expanding the program with you!" This article appearred in the Scarborough Mirror on March 26, 2008.